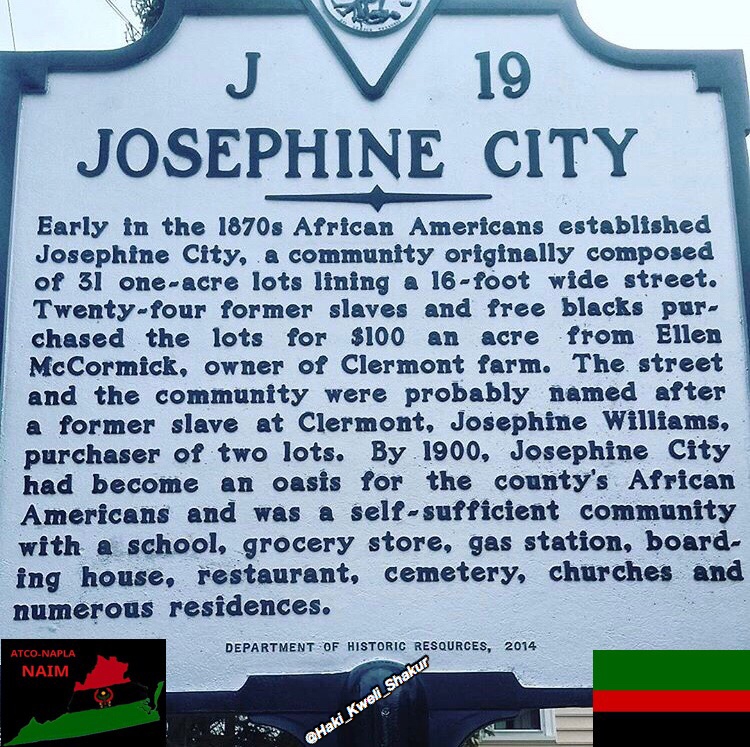 Early in the 1870’s African Americans established Josephine City, a community originally composed of 31 one-acre lots lining a 16-foot-wide street. Twenty-four former slaves and free blacks purchased the lots at $100 an acre from Ellen McCormick, owner of Clermont Farm. 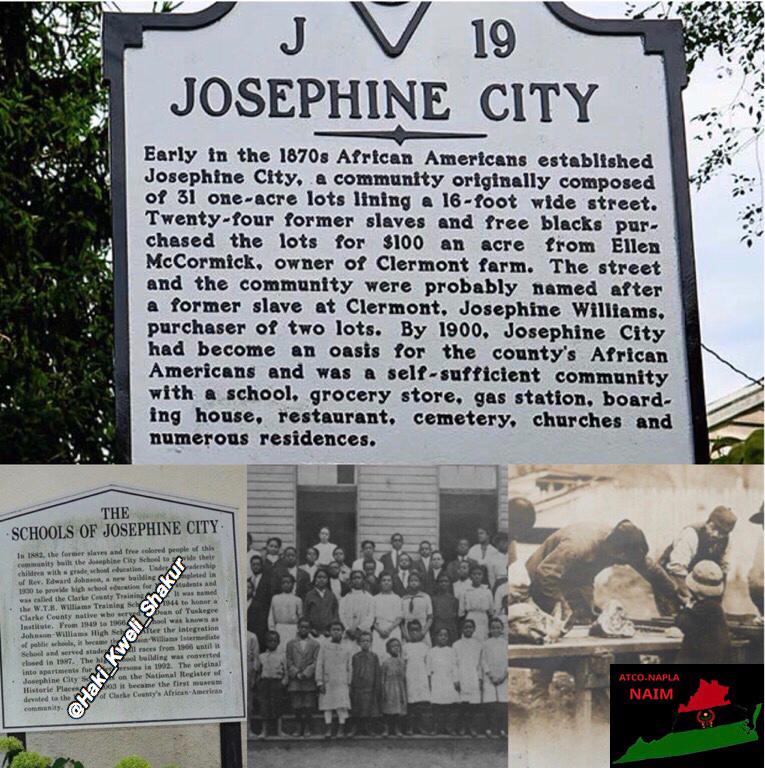 The street and the community were probably named after a former slave at Clermont, Josephine Williams, purchaser of two lots. 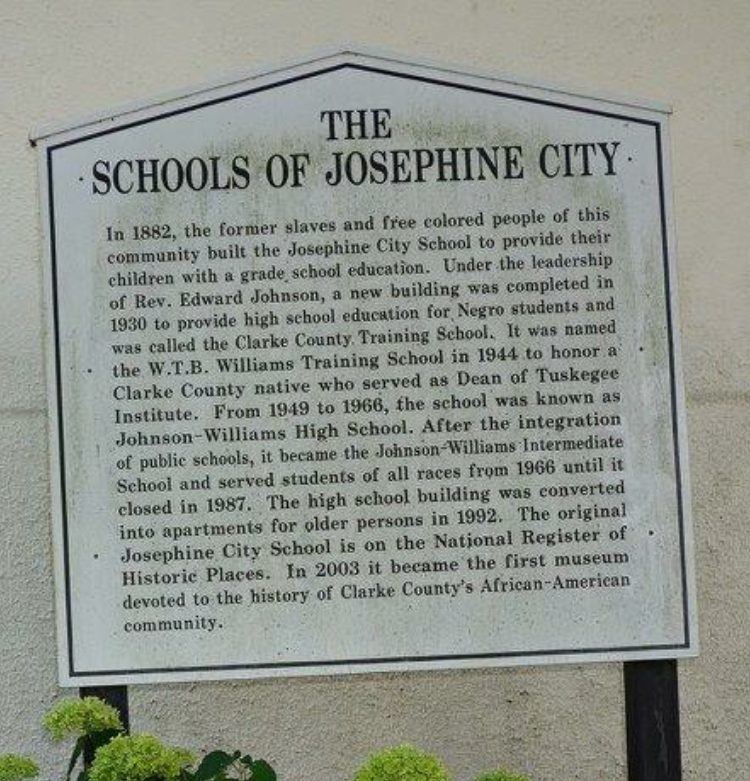 By 1900, Josephine City had become an oasis for the county’s African Americans and was a self-sufficient community with a school, grocery store, gas station, boarding house, restaurant, cemetery, churches, and numerous residents. Within Clarke County there were at least three ardent, articulate white emancipationists: Episcopal Bishop William Meade and his sisters, Susan Meade and Ann Randolph Meade Page. The Bishop played an important role in the American Colonization Society; Ann Page and her husband freed a number of their own slaves. Ann Page’s personal correspondence opens an important window into the moral universe of a member of the planter class who believed in universal human freedom. Also, the plan she sketched in 1814 for an ideal slave dwelling reflects her sense of the practicalities of plantation life and what in her world view was due to enslaved workers. Her ideal housing involved a duplex for two families; each family had two rooms, one 20×16 and one 12x 16. Clermont’s 1823 slave quarters was also a duplex, in log, with one room for each family 20×18, and designed to raise slave productivity by using stoves instead of fireplaces. Interestingly, after the Civil War when paid labor was housed in this building in Clermont, an additional room 12×10 was added to each of the two original rooms, thus approximating Ann Page’s layout. 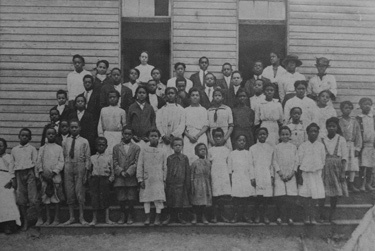 The post war story of black freedom in Clarke County includes the growth of numerous black residential enclaves which were places of growth, resistance, and dignity during Reconstruction and the re-imposition of white supremacy in the County. Clermont figures significantly in this history. Josephine Williams, who evidence strongly suggests had been an enslaved seamstress at Clermont before Emancipation and after a paid professional in Berryville appears to have been involved in the approach of sixteen black families to Ellen McCormick, owner of Clermont, regarding the purchase of land she had offered for sale in 1870. When Ellen McCormick agreed to sell to these black families (93 people in total), Josephine Williams purchased the first two lots in the enclave that came to be known as Josephine City near Berryville. The black community of Pigeon Hill likewise took shape largely on land sold by the Ellen McCormick who, mired in pre-War debt after her husband’s death in 1870, became the largest white seller of land to African Americans in the postwar period. 1739, Jan. 30 – Letter of South Carolina Council describes plan of 200 slaves to capture capitol and establish their own government. “In America our people revolted often. Some of us successfully reached Spanish Florida and there built new states–first, at Santa Teresa de Muse; then along the Apalachicola River, and finally We built the New Afrikan-Indian state known as the Seminole Nation. Each of these small states fought for their freedom against the United States, though finally losing. Some Seminoles never surrendered.” (Obadele, 1997, p. 67). Harriet’s involvement with the failed John Brown conspiracy in 1858-59 signalled a shift*. She moved into a different period, in which her guerrilla work merged into the larger & more open clash that would be the Civil War. But these armies were settler men’s organizations. The Union Army was purely a patriarchal and hierarchical structure. And Harriet Tubman was an Outsider, biologically marked in race & gender as one of amerikkka’s subject proletarians. But if we ask what Harriet did with the Union Army, the truest answer might be: anything she wanted. To get this we have to sidestep a moment in our story, shaking off our indoctrination even more & refocusing on Harriet’s real life as an Amazon. Harriet’s singular characteristic wasn’t bravery, as we’re always told. That’s another sly put-down of women. After all, many other New Afrikan women had also resisted in every way. Took part in prison breaks. Died under torture after attacking settlers. Took part in the Civil War. No, courage was as common as blood to those sisters. What so distinguished Harriet was that she was a pro. She was one of the most brilliant professional practitioners ever at the art of war. As a guerrilla, so elusive that she could strike fatal blows and never be felt. Lead battles and go unseen. As an Amazon, she conducted warfare in a zone beyond men’s comprehension. But her blows still fell on point. Her professional skill as a guerrilla, operating behind enemy lines in the Underground Railroad, is well documented! Season after season, in nineteen raids, she evaded & misdirected the Slaveocracy. Her always changing tactics were like textbook lessons. Coming under suspicion, she would lead her escapees with forged papers onto a train going South, not North, then circle back. Disguises were sometimes used, disguising women as men — something Harriet herself did — or vice-versa. Once, knowing she might meet her former master in town, she dressed even more raggedy. And she carried an armful of live chickens. When she saw him, she “accidentally” let the birds loose. Her former master passed by in amusement at the apparently hapless old Black woman — her face averted as she scrambled on the ground to catch her chickens. 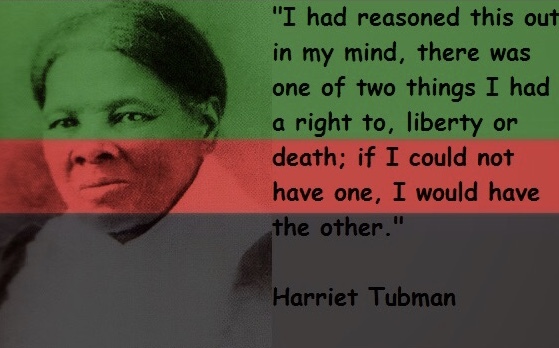 Other times, when a slave would weaken during the difficult journey & want to go back, Harriet would simply put her pistol to his head and give him her only choices: “Dead niggers tell no tales.” What i’m saying is, she could walk that walk. Harriet never put down her personal thoughts, her story as she saw it. She lived in a more personally reticent and cautious age, when women were far less open in proclaiming their personal tactics & strategies. An illiterate ex-slave woman in a hostile land, her only surviving autobiographical accounts were additionally filtered through the motives of interviewers — no matter how well-intentioned — for largely white audiences. The reason we need to be reminded is that Harriet couldn’t leave any direct word (like all those countless sisters lost in history), to counteract the capitalist patriarchy’s whiteout of her identity. Unlike, for example, Malcolm X. We have to look at the trail signs she left in the forest of history, where her footsteps led. The improbable picture given out now of Harriet is someone who was a bold opponent & tormentor towards the white settlers of the South, but who was a simple, loyal, political go-along towards the white settlers of the North. When we put it that way, how likely is that? Truth was, Harriet had a guerrilla relationship towards all of white amerikkka, North and South. She had, in a deeper sense, an Amazon guerrilla relationship to the Union Army itself. Harriet, who never hid being a feminist, did not challenge the patriarchal military institutions to end “discrimination”. Nor did she put on men’s uniforms and try to pass in a regiment. She wasn’t trying to be admitted to West Point or get white men’s permission to become a soldier — she already was one. Harriet was in a hurry and she wasn’t aiming to be a rifle-carrier in a settler men’s army. Her aim was far beyond that. 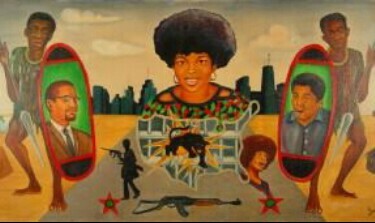 As a New Afrikan political-military leader her aim was on the actual mass liberating, arming and organizing of her people. While doing this she also aimed to assist, prod, guide, and at times even lead, the huge but often clueless Union Army and its white men’s government into smashing the slave states into the dust. This was a military role so ambitious that it seems inconceivable to us (who are conditioned into accepting the horizons patriarchy permits us) and yet that is precisely what Harriet did. Even as the new Republican Party president, Abraham Lincoln, was taking office in March 1861, eleven Slave States were seceding & forming their “Confederate States of America.” Their gathering Confederate armies threatened Washington, D.C. itself, which was only a Southern Slavery city sandwiched between the two Slave states of Virginia and Maryland. Lincoln called for white volunteers nationwide, and ordered regular Federal troops from the North, under Gen. Benjamin Butler, down to defend the capitol. Harriet followed Gen. Butler’s army as it marched through Maryland on the way to the defense of Washington during the months of April and May, 1861, when Maryland debated whether to secede and when the Federal troops met with violence at Baltimore. It was, after all, her home country; she knew how to get in and out of here speedily, and she had friends who could shelter her. 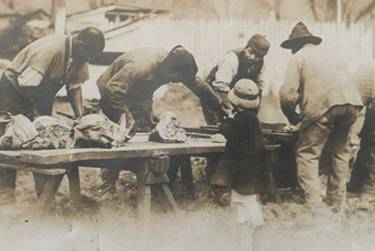 It was an opportunity to stimulate slaves to escape to the Union Army or to take care of them as rapidly as they came into the Federal camps… Harriet, ‘hanging upon the outskirts of the Union Army’, was possibly the first American woman to visit or work on the battlefields of the Civil War. It was to be in the military theater of the deeper South, however, that Harriet’s work with the Union Army was to reach full impact. The Summer and Fall of 1861 were frustrating months of sporadic clashes in Virginia, of Union setbacks, of gathering forces. Radical Abolitionists and New Afrikans were critical of the white-supremacist Lincoln, who was unwilling to either legally end slavery or arm New Afrikans. His first commander, Gen. McClellan, hated Blacks and publicly promised that his troops would join the slaveowners to “crush” any Black uprising. Harriet, temporarily back in New England, publicly scorned the settler hopes that by compromising the white family feud could be healed. “Never wound a snake, but kill it!”, she warned. The police surrounded us and we said we weren’t leaving. By day two, the takeover had spread by word of mouth and we had hundreds of people lined up wanting to get treatment for addiction. About a month later, the administration had to come to terms with the fact that we weren’t leaving. They had been sitting on the proposal of some monies that had been earmarked for treatment that hadn’t been implemented. The money was brought and staff was hired from the very volunteers of the Lincoln Detox program we started. Of course the powers that be did not want us there but could not figure out how to deal with people saying we ain’t going. We’re staying and we’re going to serve our people. 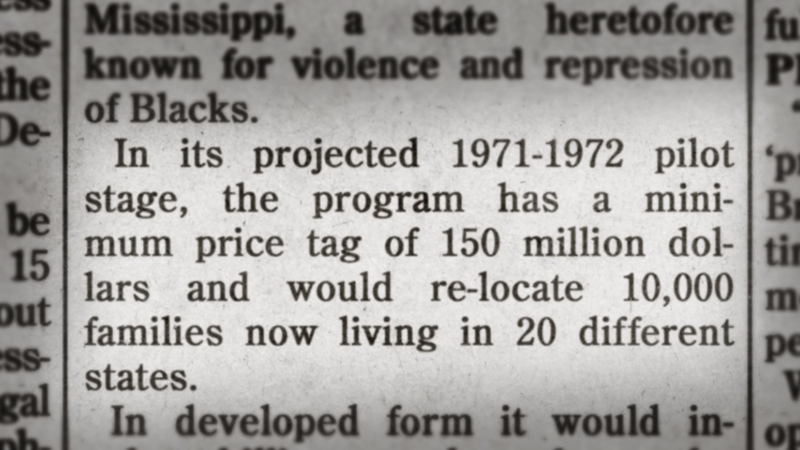 We were very effective in doing so, and kept our program running until 1979. Lincoln Detox was a drug detoxification clinic in Lincoln Hospital. 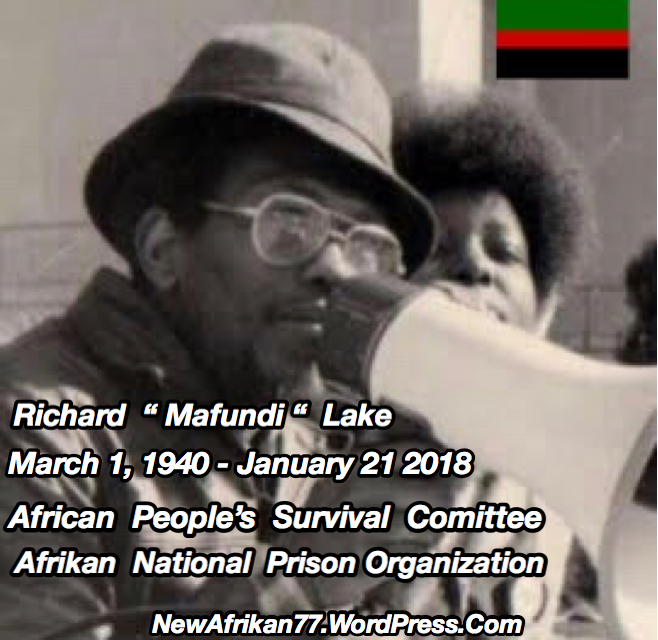 It was founded in 1970 in the South Bronx by the Black Panther Party, the Republic of New Afrika, the Young Lords, and Students for a Democratic Society. The clinic offered holistic drug rehabilitation, employing acupuncture, Marxist education classes and community service. In the courses, participants learned about their addiction in a communist context, exploring how their addiction harmed themselves, their family and their community. Administrators believed that drug addiction was “a scheme concocted by a white government to oppress blacks” and that revolutionary communism was the best cure. The clinic received about a million dollars in state and local funding. Lincoln Detox cost four times more per patient than comparable New York City clinics, but treated only half as many patients. 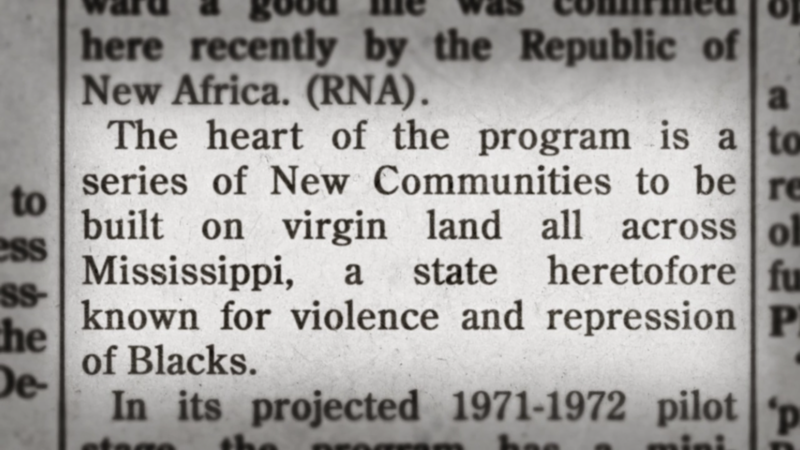 It also smuggled medical supplies to the Black Liberation Army. Acupuncture was introduced by Richard Taft, a graduate of Baylor College of Medicine, in 1974. Mutulu Shakur worked at the clinic for years before turning to bank robbery and becoming a FBI Ten Most Wanted Fugitive. In 1976, NYC’s Health and Hospitals Corporation discovered one million dollars in unsubstantiated payroll An auditor’s visit found that only 50% of staff on duty were actually present and a doctor overdosed and died inside the clinic, although clinic personnel claim he was murdered by the CIA. Much of the clinic’s funding was embezzled and spent on cocaine. The clinic was finally shut down by Ed Koch and Lincoln Hospital on November 27, 1978. For the next years, I was the nearest thing to a hermit in the Norfolk Prison Colony. I never have been more busy in my life. 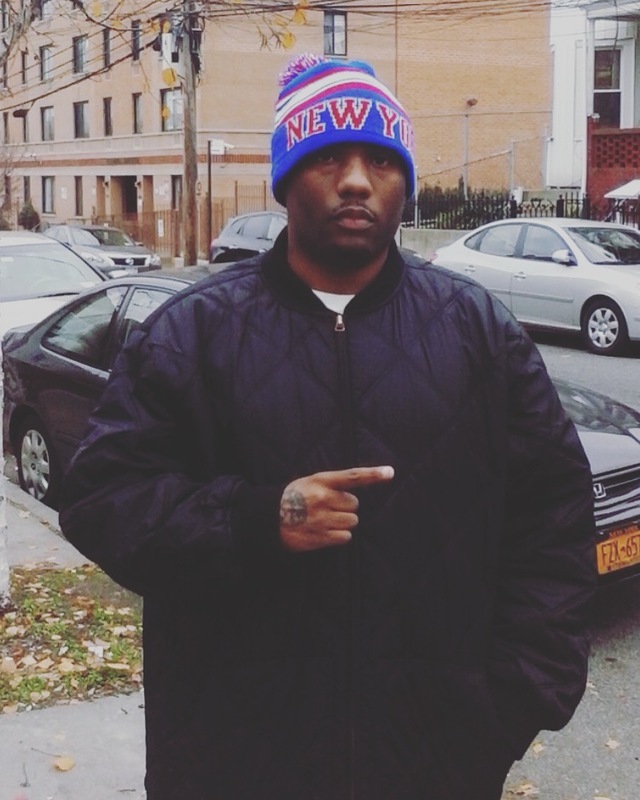 I still marvel at how swiftly my previous life¹s thinking pattern slid away from meŠ It is as though someone else I knew of had lived by hustling and crime. I would be startled to catch myself thinking in a remote way of my earlier self as another person. 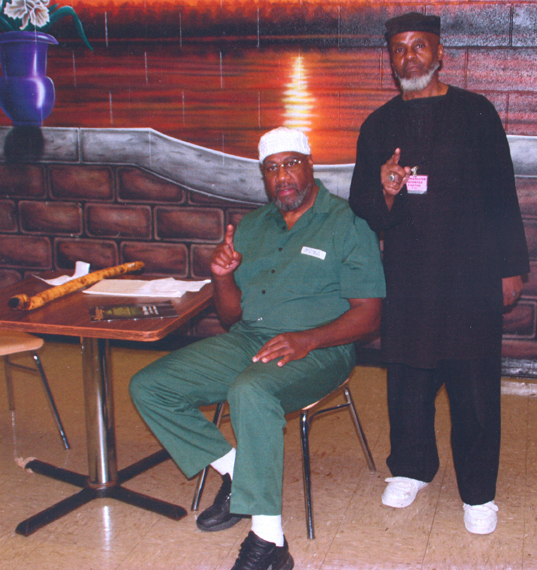 The devil could claim that, hedged in prison, I had just used Islam, Mr. Muhammad said. But the devil would say that now, out of prison, I would return to my drinking, smoking, dope, and life of crime. We can go through the motions of changing our lives while in prison, or otherwise but the test of the truth comes when the prison doors are opened, or, when otherwise We¹re confronted with situations which test our characters. Nevertheless before We can remain faithful, We must first become faithful. Malcolm¹s prison transformation can be a model for our own. 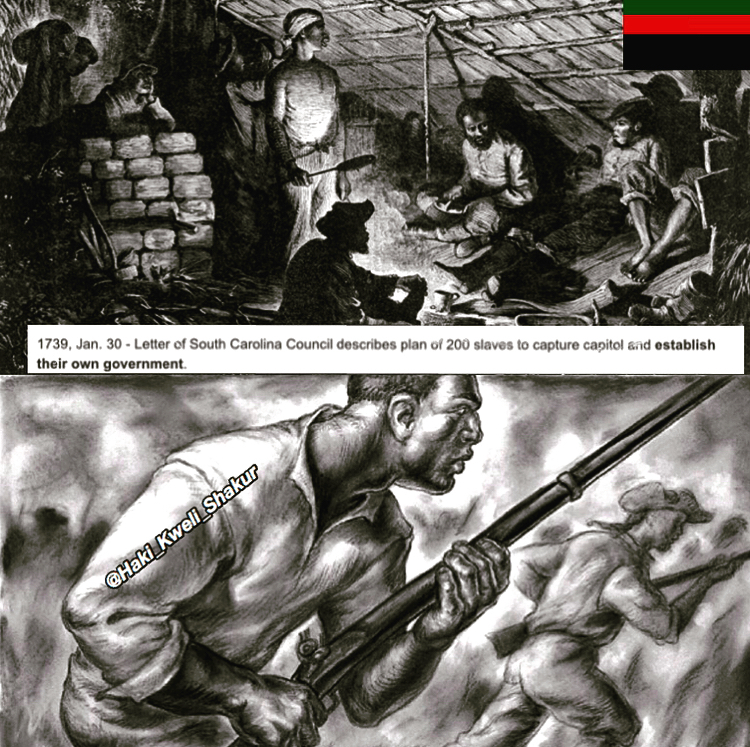 From the moment the Africans were captured and placed in slave ships, but especially when they arrived on plantations, the unplanned but objective process of national formation began. The first acts in this direction forbade the Africans to use their own language. They spoke the various languages of West and Central Africa – Igbo, Mande, Fulani, Ashanti, Yoruba and many others, as well as Arabic. Some understood the language of the neighboring people or tribes, others understood the lingua franca or language of trade of their region. Therefore, it was essential for the slave trader first and then the slave owner to prevent discussion from being carried on in languages they did not understand. Conspiratorial conversation about escape and attack had to be stopped. For the same reason, members of families and tribes were separated as much as possible beyond the natural sale process. 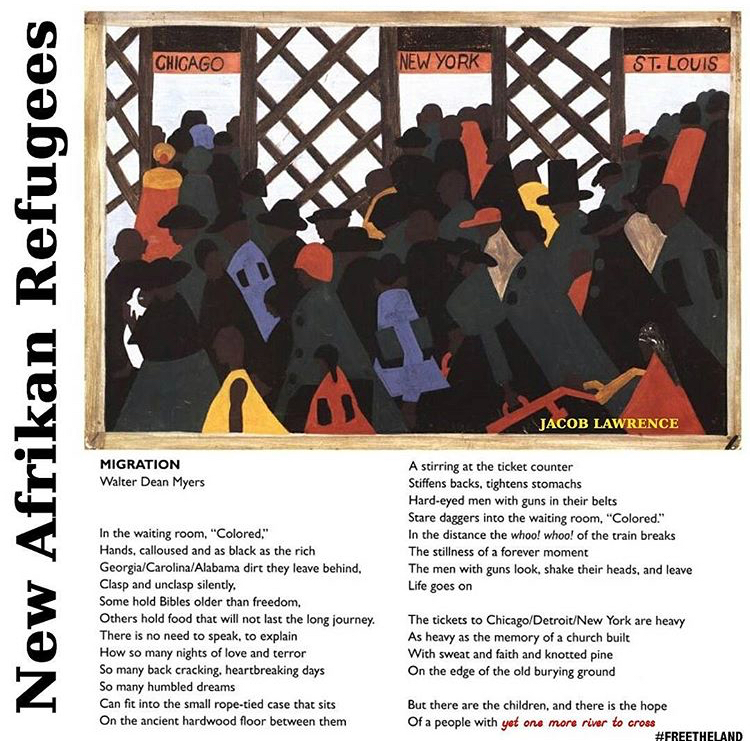 The shocking and terrifying experience of being kidnapped, the “middle passage” across the ocean and the demeaning auction block served as initial factors that created a similar psychological make-up. As life on the plantation evolved, the slaves developed a common outlook about their conditions of oppression. Finally, commerce was enhanced, in that a previously non-existent market was created. Heretofore, slaves could not and did not purchase commodities of any type. Now Afro-American businessmen could enter business, somewhat free of the pressure and “squeeze out” of the white capitalist who would not let him make a cent if he did not have to. On the other hand, Afro-Americans would have access to services not provided by whites, for example morticians, barbers, insurance salesmen, etc. Among the various forces that have examined the question of common economic life, there have been two erroneous tendencies. On one hand, almost anything that resembles economic activity is accepted as common economic life. The other demands sophisticated economic factors to meet the requirements for a common economy. The view that generally requires “no bottom line” sees slavery, sharecropping, and wage slavery as different but common economies because the overwhelming majority of Afro-American people were engaged in these modes of production at one time. 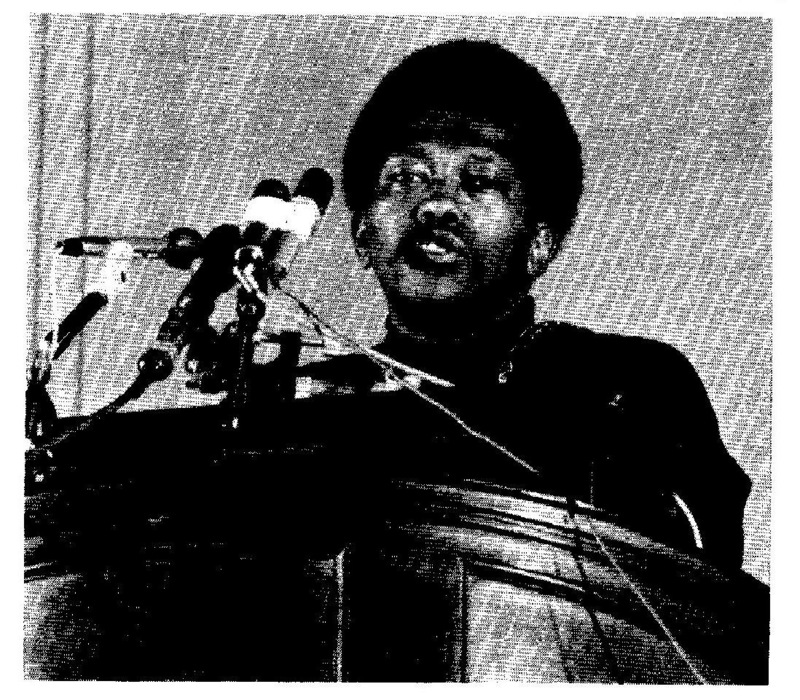 James Forman, former executive secretary of the Student Non-Violent Coordinating Committee, leader of the Black Workers Congress and part of the more militant wing of the reformist movement, goes so far as to say that “during slavery, Blacks helped to develop their own economy although they did not control its distribution and profits.” This is absurd because slaves and their labor power were owned. As was noted earlier, a common economy requires a division of labor, exchange and a market. These must be minimum requirements. Stalin said that there must be economic cohesion. This means a division of labor between people, communities and regions; that no area be economically isolated and there be a rise of capitalism. Basic economic cohesion means a division of labor in parts of the nation, the development of urban commerce and agriculture, communications and transportation systems, and a national class structure. It has been said by others that “what concerns us here is whether or not a people share in the same economic life, engage in mutual production and exchange.” The Afro-American people in the South do these things. The configuration of an advanced nation has also been spelled out. It includes a monetary system, banks and taxes. Thus, “there are degrees of economic integrity of the nations depending upon imperialist interference and control.” Understanding this question of integrity, its limits and boundaries, is key to evaluating the common economy among a people. What trash is this! They fail to mention that if these “macro” phenomena do exist, they are the product of imperialist penetration and organization of the national economy. The monetary system, rate of interest, etc. are the same as in the metropole or even if they are varied, are based on the same standard. To top it off, LOM offers no examples of these phenomena. We know for sure that if these so-called criteria were used to evaluate a number of contemporary liberation movements, they would have to be denied self-determination. The Polisario in the old Spanish Sahara, which is “near and dear” to LOM forces, would certainly be eliminated. South Africa, with no developed Black bourgeoisie or separate Black economy would be destined forever for imperialist/apartheid oppression, at least until the socialist revolution. The same applies to Namibia. What we have here is a double standard. Again, in regard to integrity (here meaning “sophistication” and separateness), comrades in the once revolutionary CPUSA during the debate in 1937 made these observations. Haywood said: “It is therefore absurd, in the epoch of imperialism, i.e. in the period of world market relations to speak about economic ties among an oppressed people as ‘distinct’ in the sense of separate from those of the oppressing nation.” And in particular reference to the Afro-American people, Foster indicates that Afro-Americans developed under circumstances far more difficult than many other national groups. The chain and whip, the revolutionary fight of the Civil War and Reconstruction and Klan terror and white supremacist reaction are some of the prominent conditions of extreme difficulty they faced. Yet, the LOM can say no common economy exists because Afro-Americans are tied to the white economy through the credit system, production, distribution, articulation and consumption. Then, in a distorted assault on the “Black Nation thesis” and the common economy, they say that those who uphold the thesis claim that the sharecropping system was the common economy, which is not true. In any case, they go on to say that it was not separate because it had whites participating in it. What else can be said? The Afro-American owners or controllers of wealth, i.e. capital, are deeply connected to white imperialists through numerous financial and political arrangements. 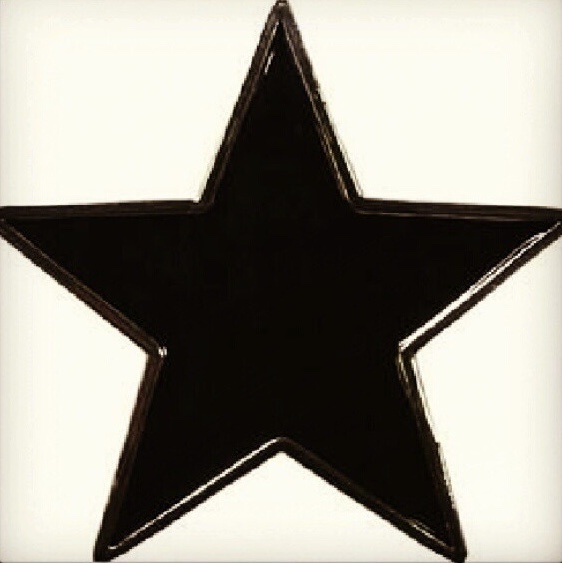 As such, they do not stand on their own; we are not speaking of a separate economy here, but the fact that the Afro-American bourgeoisie is not relatively independent. It is more comprador in nature. Fundamentally, the comprador bourgeoisie are “native merchants engaged in trade with imperialist centers, whose interests are in the continuation of imperialist exploitation. They act as agents for exploiting the masses in the colonial countries.” Webster defines comprador as a “Chinese agent engaged by a foreign establishment in China to have charge of its Chinese employees and to act as intermediaries in business affairs.” What Webster draws out is the representative or agent nature of the comprador. However, the essential point here is not to find the compact categories that fit, or to create new ones. The main issue is that Afro-American managers or owners of capital do so on behalf of or in conjunction with the white capitalists of the imperialist nation. The white ruling class helped give them life but will not let them grow and has the power to crush them at will. Therefore, the Afro-American bourgeoisie’s class interest lies in maintaining the status quo, that is, a close economic and political relationship with monopoly capital. It has not in the past or is it likely in the future to call for national independence. In fact, the comprador bourgeoisie opposes independence tooth and nail. It is not outside the realm of possibility that some of these elements will be won over to the struggle for national emancipation but the strategy for the national liberation movement cannot rely on them. Examples of would be compradors of the Afro-American people with connections inside and outside the national territory are the Urban League, Leon Sullivan’s Opportunities Industrial Centers (OIC), and Jesse Jackson’s Operation PUSH, all of whom receive millions of dollars from numerous corporate sources, although packaged differently. Car dealers and liquor distributors are other examples, as are the many Afro-American franchise owners. This analysis is based on a Marxist analysis of the political economy. Reasonable, is it not? No. Not for the LOM scholars. For them, the “comprador capitalists are those engaged in the procurement or realization of (imperialist) industrial capital and branch operations of (imperialist) bank capital.” They need to have some state power, an army, a police force and control of financial, cultural and educational organs. LOM says that we overestimate the power and number of the bourgeoisie. This is not true. We act “as if it had a hand in actually running a nation…Real comprador capitalists wield billions of dollars of capital, not to speak of armies and state machines, on behalf of the imperialist system,” says LOM. A secondary question that arises in connection with territory is that of majority/minority. 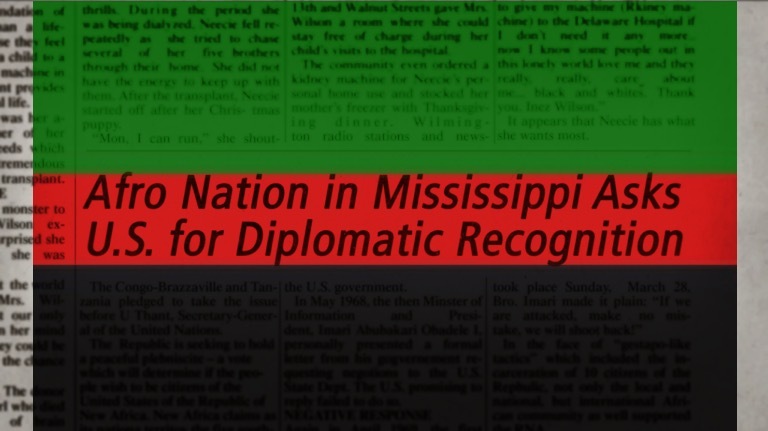 Whether or not the Afro-American people constitute a majority in the entire territory, in individual counties or wherever, are questions that have come to be used as a false criteria. This is a case where a fact, a concrete condition at a particular time, was turned into a principle which has been used to liquidate the very thing around which the question was raised. Lenin, Stalin, the Comintern, Haywood, etc. did not “select” the Black Belt because it had the majority of Afro-Americans or because they were the majority in over 250 counties. The Black Belt was identified as the territory of the Afro-American Nation because that is where the nation objectively developed. The numbers and percentages are only a result of that. The common economic life of the nation evolved during the battle for Reconstruction. The territorial and economic issues discussed earlier were intertwined with the massive developments taking place during that period. In the political realm, there were numerous conventions of freedmen that passed various manifestos calling for freedom and democracy, economic and political power. 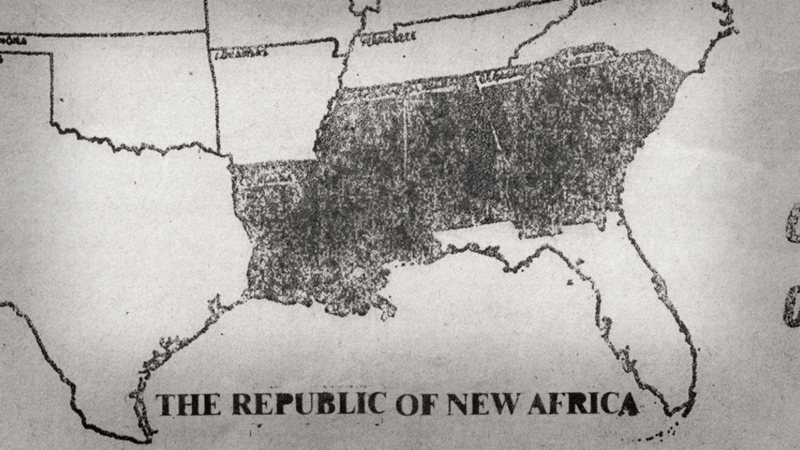 The legislatures with large numbers of Afro-Americans and poor farmers enacted revolutionary reforms. They disenfranchised Confederate leaders and provided free public education. The Union Leagues and local militias took up the task of defending the gains that were being made. 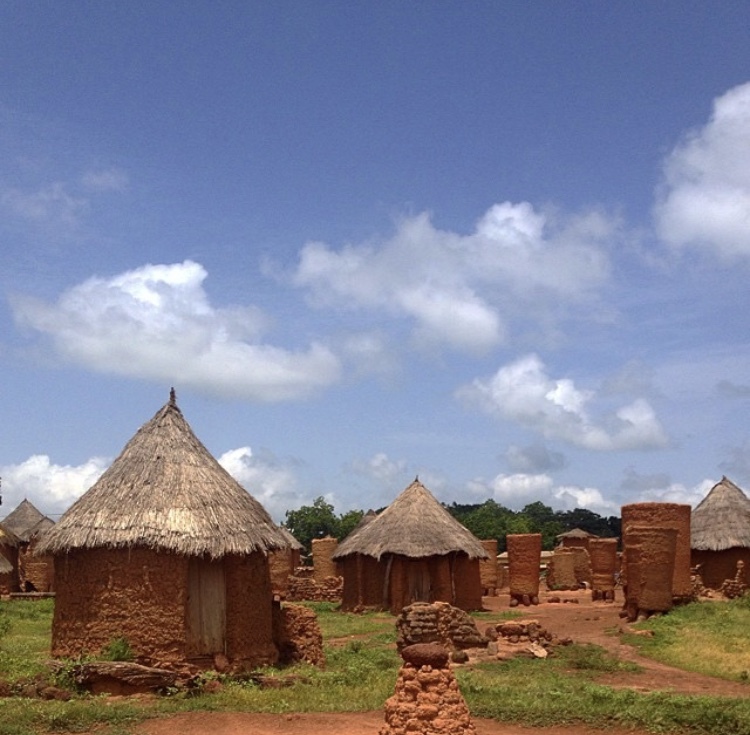 Many small farms and small enterprises were opened by the newly freed slaves. The land question was addressed by many, but not resolved. It is ironic that the masses in the state conventions and some of the Radical Republicans themselves in the Congress and the legislatures never called for the same. In the South Carolina convention where it was discussed, the most that the petty bourgeois leadership called for was the sale of the land in order to erode the base of a possible return to power by the planters. The petty bourgeoisie could not attack the “sanctity” of bourgeois property relations. By the end of the Reconstruction, the nation had emerged and matured. It was consolidated by the end of the century (1900). It was constituted initially by freedmen who were released from indenture in the North and sometimes in the South prior to the early 1700’s. In addition, there were slaves who escaped from the plantation. In the North, they developed a certain degree of economic strength through small businesses and farming. For this reason, they assumed the intellectual and political leadership of the Black freedom movement. Another wave of migrations took place just prior to World War I when war industry created great demands for labor. Many jobs opened up temporarily. This development began to converge with the crisis in cotton caused by the boll weevil in successive planting seasons in the 1920’s. Again, in the 1920’s, the re-emergence of the organized Klan caused greater migrations. Theories of genetic inferiority were developed in connection with exclusionary acts. The “studies” were financed by the Rockefellers and served as the basis for the Nazi theories of the 1930’s and the views of Shockley and Jensen today. Industrial and finance capital had-to expand externally if it was to respond to its internal laws. It concocted the so-called Monroe Doctrine which gave it the “right” to take action anywhere in the hemisphere to protect the interests of American imperialism. The natural target for this imperialist justification was Spain. It was, in fact, an oppressor nation with a number of colonies. Not that U.S. imperialism was especially concerned with fighting oppression, but Spain was weak and undergoing internal changes that were destroying its ability to maintain an “empire.” The U.S. justified a declaration of war against Spain in 1898 by blowing up its own naval ship, the Maine, while it sat in the harbor of Havana, Cuba. After a short war, the U.S. occupied Cuba, Puerto Rico, the Philippines and Guam. Any Marxist-Leninist program must include strategy and tactics for dealing with the oppression of nations. The democratic right of peoples to order their own affairs and determine what kinds of relations they will have with other nations is fundamental. This is described in the slogan, “the right to self-determination up to and including secession.” The meaning of this slogan has been fully defined during this century, first in struggle with the social chauvinists of the Second International, later with the Trotskyists and other opportunists and today, with various revisionists and liquidators of the national question. During these years of fierce struggle and debate, it became clear that self-determination is meaningless unless the oppressed people have the option of creating their own political entity. 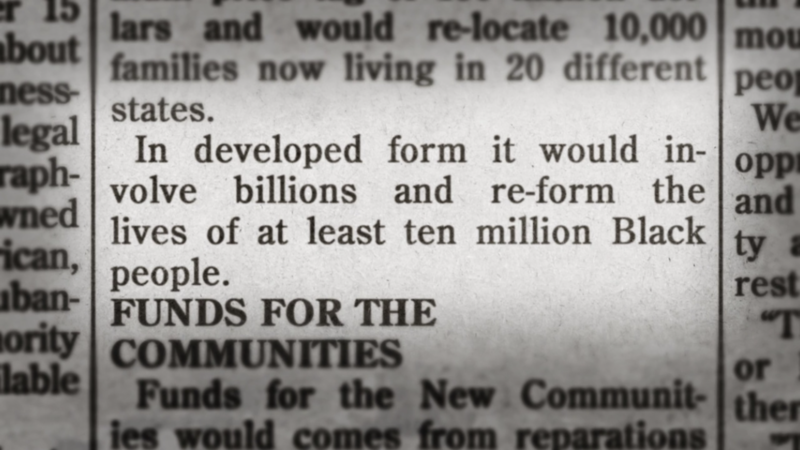 The CPUSA’s practice suggests that it really did not believe or desire this possibility. 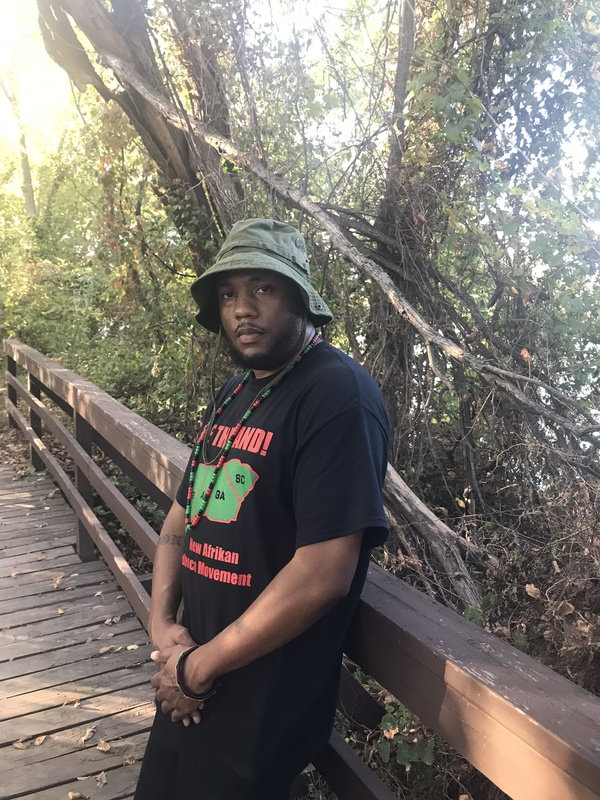 With some rare exceptions, it never organized people in the Black Belt on a local level around electing Afro-American county and town officials as a form of struggle. It never addressed the question of power and nowhere does it speak to organizing a rebellion. We have not seen or heard of any discussion where the Party called for forming a national revolutionary front that would carry out the political, economic and military tasks of a war of national emancipation. Without doing this, it supported the view that the national question could only begin to be resolved under socialism. Under today’s conditions, two things call for communists, national revolutionaries and democrats to fight for the right to self-determination and for secession now. 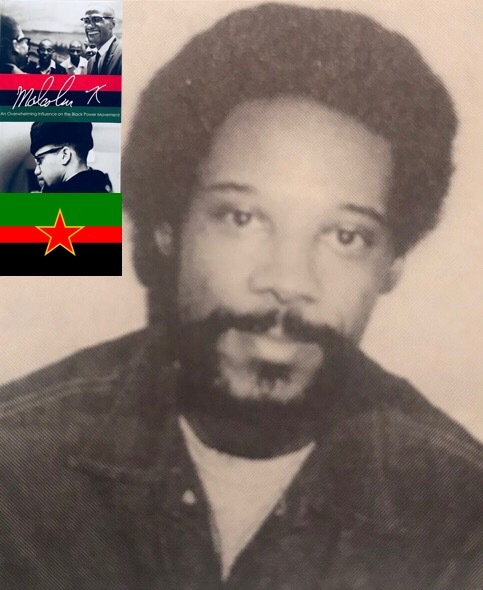 For one, U.S. imperialism has shown that it will not grant the Afro-American people true freedom and justice. In spite of gains and some reforms, the yoke of national oppression grows heavier and more deadly than before. White workers must struggle against white chauvinism, white supremacy, racism. The struggle cannot be limited to uniting with Afro-Americans on basic trade union issues, e.g. wages, hours, etc. Do not get us wrong; this is good and, in numerous cases, is extremely difficult if not impossible to do. Yet, it is only the economism so touted by the opportunists. In terms of the workers’ struggle in the economic arena, white workers must consciously struggle against the various privileges. This is key to breaking down the mistrust and disunity. Eventually, but not after the whole class fights against privilege (this will never happen anyway), white workers must support the right of the Afro-American people to self-determination in both words and deeds, Class conscious white workers fighting against privilege and white supremacy and for Afro-American self-determination will be striking the real death blows at U.S. imperialism. It is the task of communists to skillfully use Marxism-Leninism, history and objective conditions to create the subjective outlook for this essential segment of class war in the U.S. 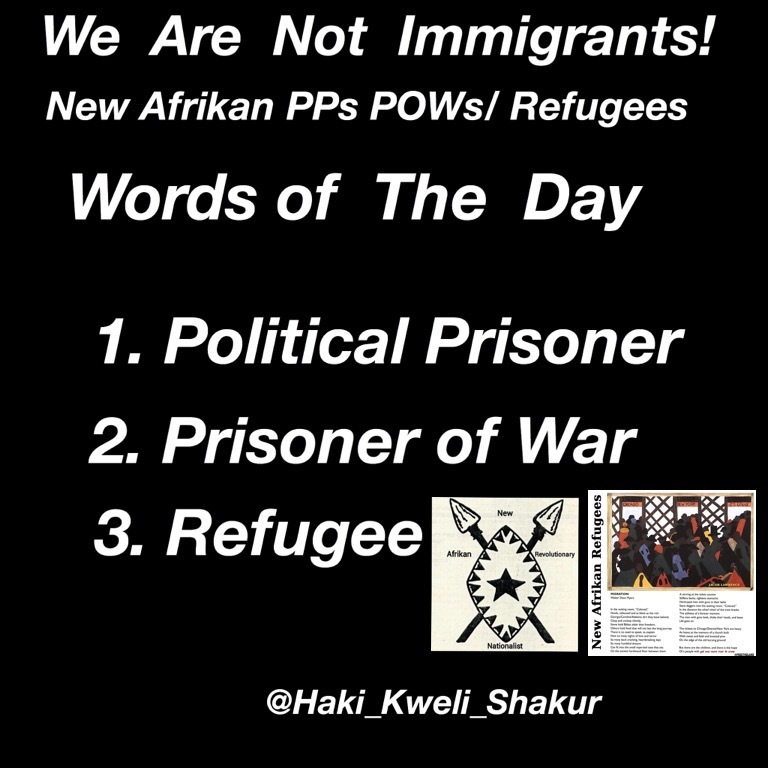 The Reality is One Being in Captivity ( Captured ) Is Not A Immigrant Let’s Go To The Definitions of These Terms That Truly Defines Our History And Reality in America! 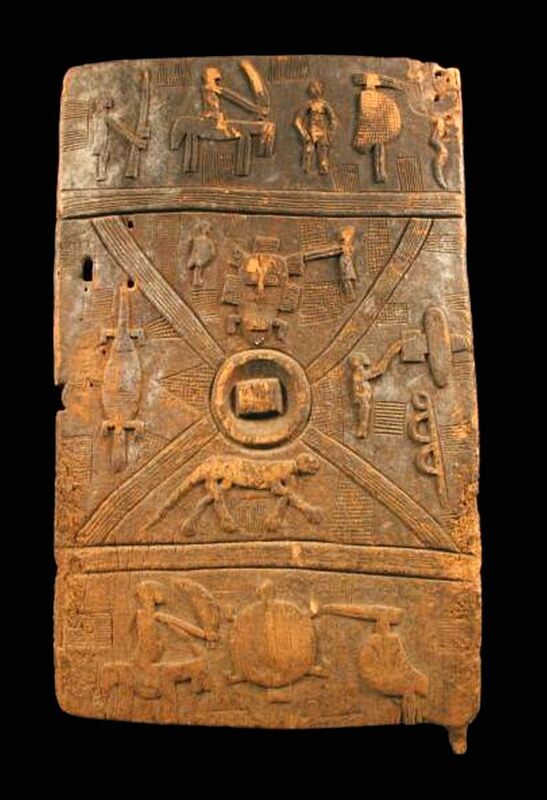 We’re now aware of The Black Panther Movie Set to be released February 2018 But Many are not aware that even though the T challa Character is Fictional but in West Africa there is a Real Tribe The Senufo Who has Defied The Panther in The Ivory Coast! The Black Panther is the ceremonial title given to the chief of the Panther Tribe of the advanced African nation of Wakanda. In addition to ruling the country, he is also chief of its various tribes (collectively referred to as the Wakandas). 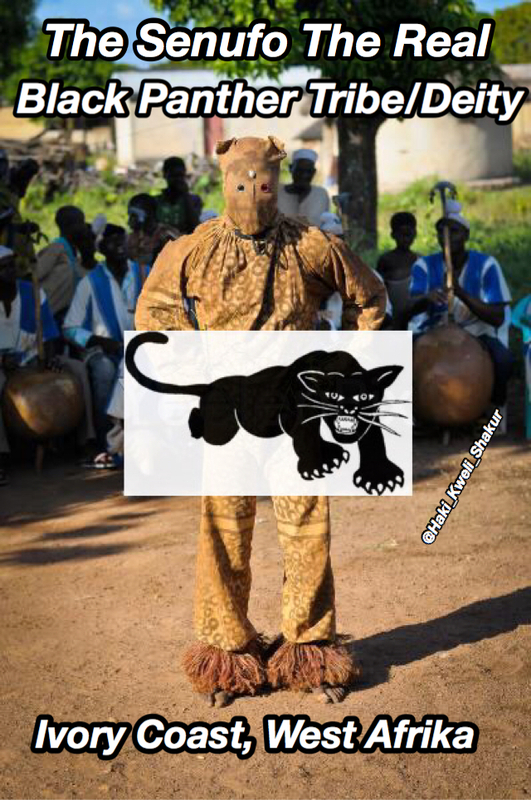 The Panther habit is a symbol of office (head of state) and is used even during diplomatic missions. The Panther is a hereditary title, but one still must earn it. In the distant past, a meteorite made of the (fictional) vibration-absorbing mineral vibranium crashed in Wakanda, and was unearthed. Reasoning that outsiders would exploit Wakanda for this valuable resource, the ruler King T’Chaka like his father and other Panthers before him, concealed his country from the outside world. T’Chaka’s first wife N’Yami died while in labor with T’Challa, and his second wife Ramonda was taken prisoner by Anton Pretorius during a visit to her homeland of South Africa, so for most of his childhood T’Challa was raised by his father alone. T’Chaka was murdered by the adventurer Ulysses Klaw in an attempt to seize the vibranium mound. With his people still in danger, a young T’Challa used Klaw’s sound weapon on Klaw and his men, shattering Klaw’s right hand and forcing him to flee. T’Challa was next in line to be the king of Wakanda and Black Panther, but until he was ready to become the leader of the nation, his uncle S’yan (T’Chaka’s younger brother) successfully passed the trials to become the Black Panther. 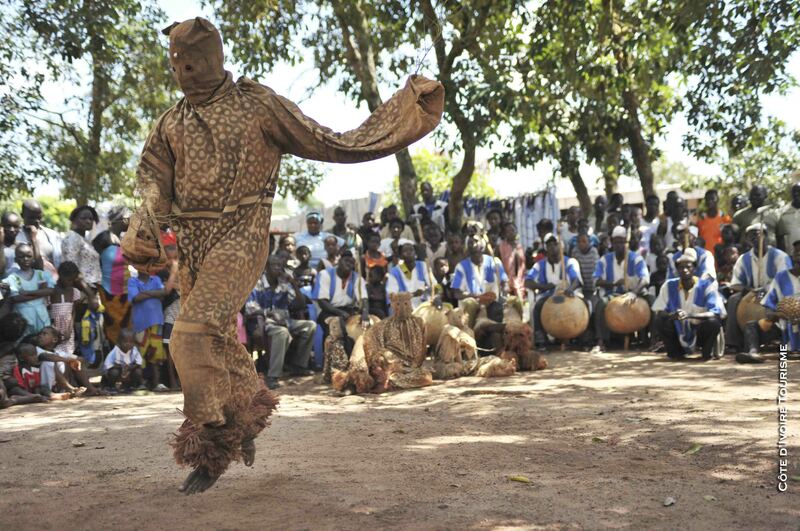 The Poro/Self Defense In the public dances, each dancer represents a different colobele, and challenges the others by performing steps and acrobatic movements, demonstrating his training and skill. The Boloy is a symbolic representation of the Poro, showing the military training of its members. The movements are inspired by those of the panther, the sacred animal of the Senufo. Initiation into the Poro is obligatory, and lasts for seven years. During this time, the wisest transmit the knowledge of the society to the young men, through words and symbols. All those who complete their initiation at the same time are said to belong to the same colobele, and this will be a bond which unites them for the rest of their lives. They believe in a single god called Kolotyoloo, who gave life to the first human couple. 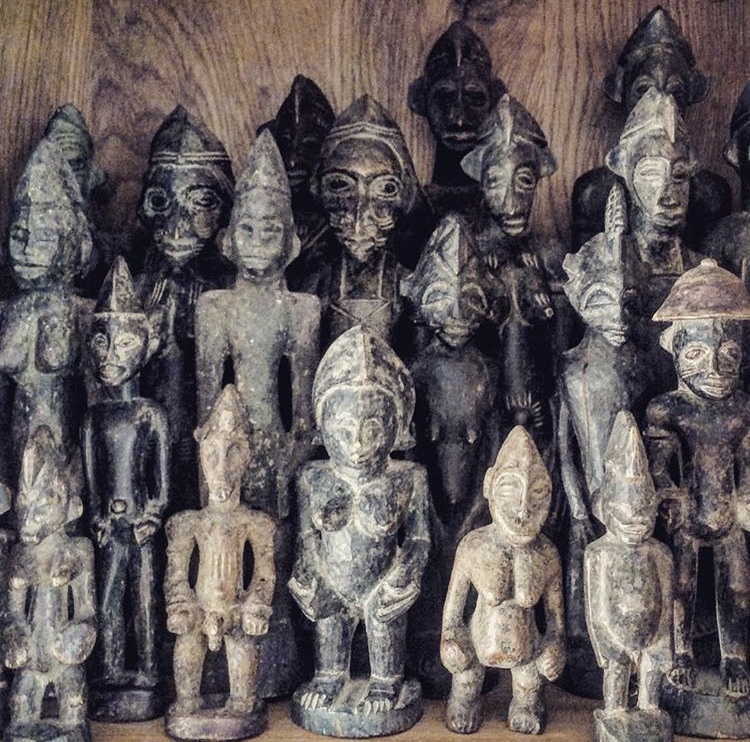 This couple had twins, who were the first human beings born of man, and the Senufo are descended from these. Between god and men there are the spirits of the ancestors, and those of deities such as the python, the messenger from the other world. 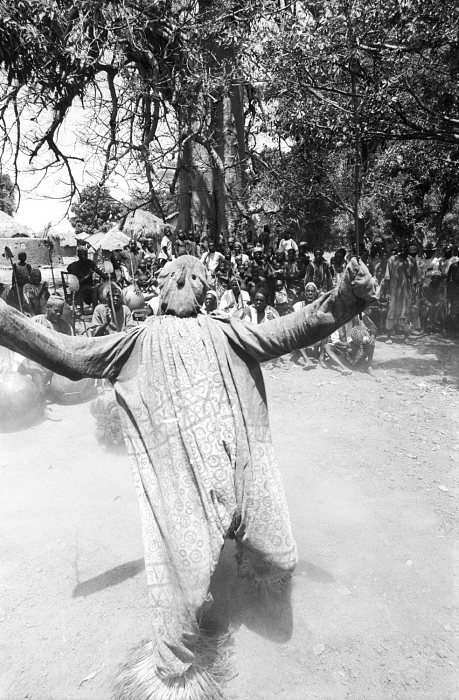 “On the last day of the ceremony, two Nufori acrobat-masks into the village square perform the final rituals of a Senufo funeral. 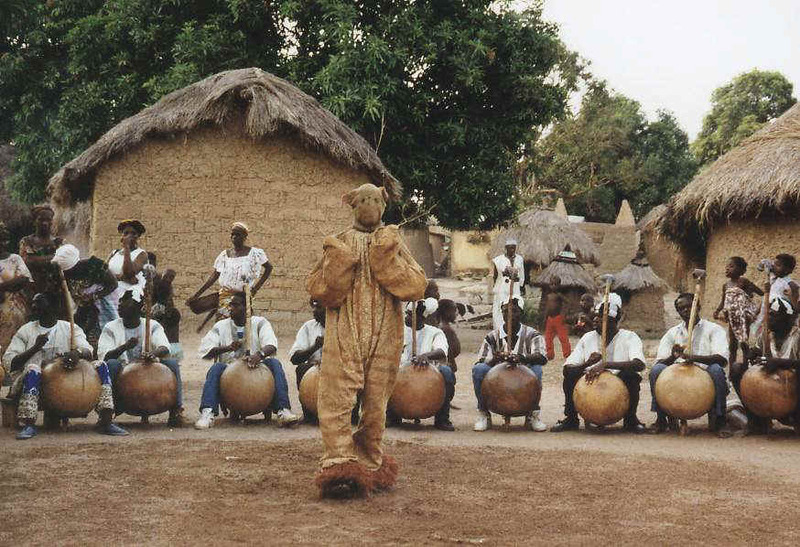 Known as Panthers of the Poro, the maskers wear brown, spotted costumes made from mud-dyed ritual cloth, designed to terrify the women and children in the audience, who are mormally excluded from masked rituals. 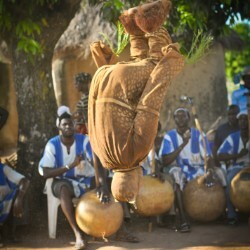 The masks are accompanied by a Boloye band, who play unique one-stringed calabash harps called bolongo, plucking the string and tapping the side of the instrument with metal finger rings to establish rhythm!